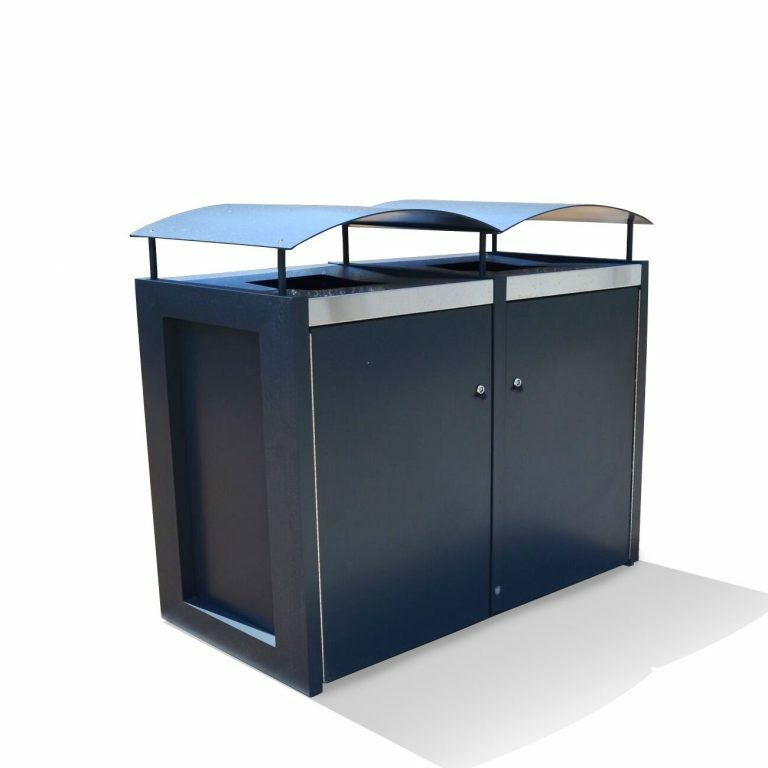 'PARKLINE' street furniture and park furniture - Litter Bin and/or Recycling Bin Enclosure for two x 120 litre wheeled litter bins. 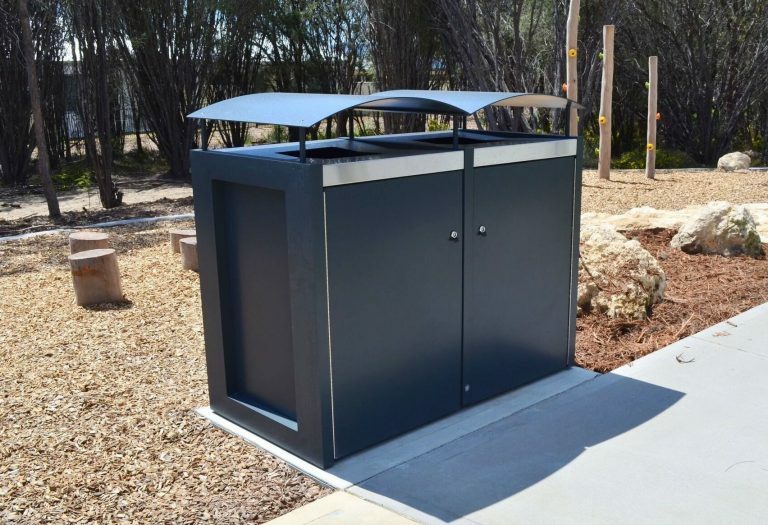 Powder coated aluminium body with stainless steel litter-entry-surrounds and rain-shields. Mobile garbage bins are not included.